Believe it or don’t, money isn’t the most important factor in determining who wins an election. Yes, having plenty of cash on hand is necessary if you’re serious about winning. But there are other elements just as vital to winning as an overflowing campaign checking account. Ask Jon Ossoff. Last Tuesday, anyone interested in American politics had their eyes on Georgia’s Sixth Congressional District. A Special Election had been called after House Representative Tom Price resigned the seat to become the Secretary of Health and Human Services in the Trump Administration. While Georgia’s 6th CD had a long history of being solidly Republican, Democrats believed they had a chance of picking up the seat. However at the end of the day this traditional Republican House District remained Republican, by electing Karen Handel to serve the remainder of Tom Price’s term. Many were shocked by this outcome. This race had been hyped as an early test for House Republicans holding their majority next year. An anticipated Ossoff victory was already being discussed as a referendum and repudiation of President Trump. Yet neither scenario came true. I can’t say I was all that surprised. Yes, Ossoff could have won. Special Elections are tricky due to their often low and always unpredictable turnout. But despite his fundraising advantage, he didn’t. Why? There’s five main reasons and they contain lessons for you and any candidate running for office anywhere in America. There is a belief in America that money buys elections. It’s flat out wrong. Candidates win elections or they lose them. Period. Yes they raise money and spend it, sometimes in staggering amounts, as happened in Georgia. And the candidate who wins often is the one one who raised the most. But this is because of two reasons. One, incumbents win most elections. As incumbents they are best positioned to raise money. Two, the candidates who are serious about winning are also the candidates who are most serious about fundraising. Sometimes the winning candidate raises the most money because of both reasons. Sometimes a challenger out raises an incumbent and throws them out of office. But the key to beating an incumbent isn’t raising the most money. The key is being able to raise enough money to effectively compete by getting your message out to the voters. With over $31 million spent to elect Jon Ossoff, conventional wisdom said that he should have won the open House seat, even though nearly $28 million also was spent to elect Karen Handel. This thinking is wrong because at this level of spending, in a district with a population of only about 700,000, there was a diminishing return on the expenditures. This is true in all races. You need to focus on raising the money necessary to get your message out. Once you’ve accomplished that it really doesn’t matter how much more money you raise or how much your opponent does. It’s who you are and why you’re running that’s going to make the difference with the voters – not how much more mail you can jam into their mail boxes or TV ads you can saturate onto Wheel of Fortune and Jeopardy. No matter how much money you have in your campaign coffers, you must must must fit the district where you are running. Voters want someone to represent them who can relate to them. Someone with whom they have common values. Someone who understands their hopes. Someone shares their fears. That’s why in partisan races, Republicans tend to vote for Republicans and Democrats tend to vote for Democrats. It’s also why when voters don’t know the candidates in a race, they gravitate towards the one whose last name is most similar to theirs. Or when ballot titles are used, with the candidate who uses the designation they most trust. Jon Ossoff and the Democratic Party saw an opportunity in Georgia’s 6th Congressional District because Donald Trump received 48% of the vote last year in this very Republican district. Hillary Clinton on the other hand received 47% of the vote. Comparatively, Barack Obama only received 37% and 38% in his two elections for President in 2012 and 2016. But you must look further than those returns. On the same date that Trump failed to get 50% of the vote in this district, Tom Price easily won re-election with nearly 62% of the vote. The voters of the Sixth District may not have been pro-Trump, but they were not pro-Clinton either. They can however be classified as mainstream or traditional Republicans. Mr. Trump does not come from that section of the Republican fold, which would lead to uneasiness and mistrust among such voters. It did not mean though that they were giving up on the Republican Party as a whole. Karen Handel, as lukewarm of a candidate as she might have been, still won. Why? Because she was a Republican running in a district consecutively represented by a Republican since Newt Gingrich first won it in 1978. Any opportunity Jon Ossoff might have had to slide this district to the Democratic column would have required him solidly breaking with his party and having a more conservative platform that matched the voters he was seeking to represent. He didn’t and he lost. Rich Lowry wrote a spot-on analysis of this in the New York Post. …it didn’t help that he was an orthodox liberal who conceded nothing on cultural issues, even though he was running in a Republican district in the South…. Departures on these issues are important. They’re genuine statements of independence from the national party. They signal a sympathy with the concerns of culturally conservative voters who might not support Republican economics. They take the edge off the perception of the Democrats as a high-handed coastal party. John Bel Edwards’ gubernatorial campaign in Louisiana provides a much more realistic road map for winning an election and taking a seat from the other major political party. Ossoff’s campaign would have been wise to look there for inspiration. If there’s one thing I want to be known for as a political campaign consultant, it’s helping candidates learn how to develop and tell a winning story that matters to their voters. Jon Ossoff campaign in the Primary Election and his nationwide fundraising message was all about turning the tide against Donald Trump’s agenda. Trump’s weak showing last November did signal an opportunity for Democrats and Jon Ossoff in this district. But by not fitting the district, Ossoff as a Democrat was unable to connect with these Republican voters on issues that were most important to them. Simply standing up to Trump was not enough. The voters wanted real substance. They always do. Ossoff’s credibility as a moderate or centrist was also undermined when campaign ads tied him to House Minority Leader Nancy Pelosi. Yes, Republican voters in Georgia’s 6th Congressional District may have reservations about Donald Trump and his agenda, but they have deeper reservations about Ms. Pelosi and hers. Jon Ossoff failed to telling a winning story. This led him to be defined as the villain in the story that Karen Handel and the Republicans were telling. Being the right candidate and having a winning story that resonates with the voters is where everything starts. But where everything ends is on Election Night when the votes are counted. And guess whose votes get counted? Those belonging to the people who bothered to mail in their ballots or showed up at their polling place. That’s why you need a solid turnout operation. Voters are busy and distracted. They can and will forget to vote if you don’t remind them time and time again. You can’t skimp on your Get Out The Vote effort. You must take it seriously. You can’t trust that voters who said they will vote for you will remember too – especially in a low turnout election, which Special Elections typically are. With all the money that was coming in to support Jon Ossoff, you’d think that someone would have put together a finely in GOTV machine for him. They didn’t. But the Republicans did for Karen Handel. First, the ground game matters immensely…the GOP dusted off its old GOTV manuals, deployed organizers, and did the basic work of canvassing and phoning to persuade and turn out voters. Democrats increased Mr. Ossoff’s vote by more than 32,000 over his April showing. Yet the GOP rallied some 96,000 more votes for Ms. Handel by focusing on Republicans who didn’t vote in April and were unlikely to vote in June without special attention. The Congressional Leadership Fund spent $1 million on the ground game and digital ads targeted at 100,000 such voters. People who didn’t vote in April made up at least 22% of Tuesday’s turnout. This one should be obvious and probably should be included in Lesson #2, but it deserves to be mentioned separately because it’s that important. Jon Ossoff doesn’t live in Georgia’s 6th Congressional District. The term for such a person is “carpet bagger.” And it still has a strong meaning in the South where it originated after the Civil War. The U.S. Constitution does not require a candidate to live in the Congressional District where they are running as long as they reside in the same state. Some are even serving in the House of Representatives. Most who attempt this however get beaten. Deservedly so. I want someone who lives in my community and understands its unique issues to represent me. Most voters feel exactly the same way. Now if you’re not running for the House of Representatives, this still applies to you. I don’t advise moving into a district simply to run for office. That can be used against you in a campaign, especially if all you’re doing is renting a place to establish phony residency. Run where you live. If you don’t fit the district, then you may consider moving. But don’t run after you first move to a new place. Give it time. Regardless of your reason for relocating, if you move into a new city or town and consider running for office, you may need to give it some time. Some communities are highly transient and see a great deal of turnover in residency. You could probably run for successfully for office if you’ve lived there for about five years and been an active member of the community. Other places may be more traditional where families stay for generations and still make up the formal and informal leadership of the community. It will be harder the run for office there right after your arrival. I have a friend who ran for office in a small northern California county a few years back. He was considered the newcomer because he’d only been in town for 20 years. Needless to say the voters preferred to elect someone whose family name went back several generations. Here’s what any candidate can learn from the Special Election for Georgia’s Sixth Congressional District. 1) You need to raise enough money to get your message out. Don’t buy into the lie that money determines the outcome of elections. Underfunded challengers not afraid of working hard win all the time. Raise the funds necessary to effectively get your message out. Don’t go out to set new fundraising records. Do what needs to be done and that’s it. Anything above that is a waste. 2) You must always fit your district. Sharing opinions, hopes, and even fears with a majority of voters is essential to connecting with them and winning. The candidate who best fits the district has an advantage that money will never be able to buy. 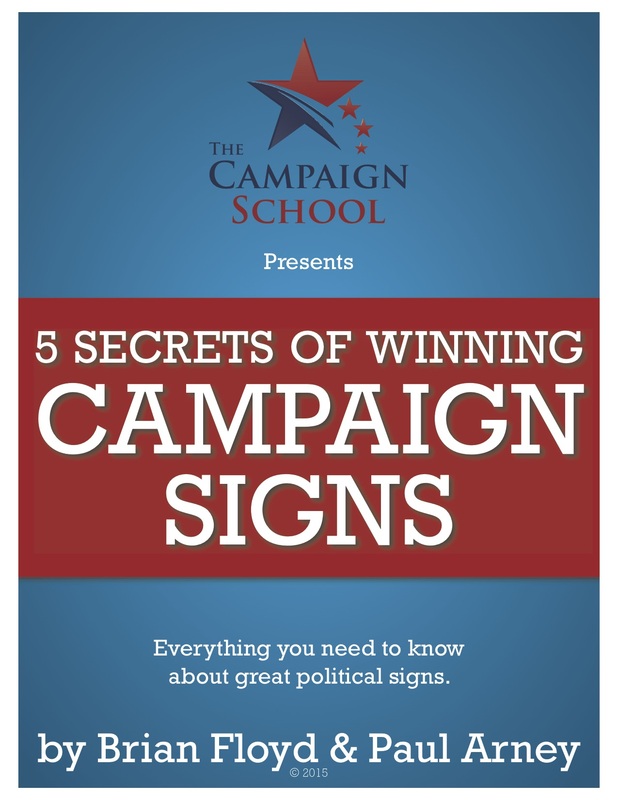 3) You must have a winning campaign story. A solid winning story is how you convey why you are running and what you wish to accomplish with the voters. If you fail to do this, you may wind up cast as the villain in your opponent’s story. 4) You must have a Get Out the Vote Operation. Without a solid turnout operation your winning story won’t amount to a hill of beans if your opponent gets their supporters to the polls and yours stay home. 5) You must live in your district. You know it’s true. It’s not open for discussion. And if your opponent is a carpet bagger, be sure to make that a major point of contrast in your campaign and its attacks.